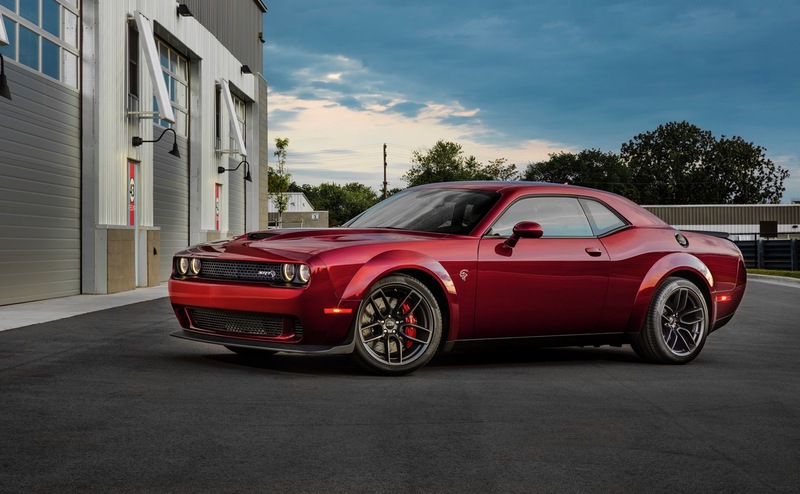 When you feel that need for speed, head over to Melloy Dodge to test drive the 2018 Dodge Challenger Hellcat. This model will let you outrun most anything on the street or track and do it in style. When you test drive the Challenger Hellcat, be sure to ask about any options that are available. 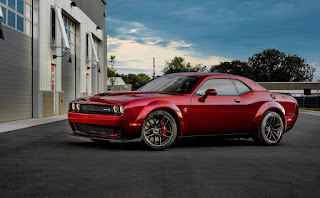 The 2018 Dodge Challenger Hellcat features a 6.2-liter V-8 engine that makes 707 horsepower at 6,000 rpm and 650 pound-feet of torque at 4,000 rpm. Even with all of this power, the Hellcat still gets about 21 mpg on the highway. The powerful engine is backed by a six-speed manual transmission. The engine features a supercharger and sequential multi-point fuel injection and runs on premium unleaded fuel. Some of the many features that are standard on the Hellcat include automatic temperature control, remote keyless entry and a navigation system. The audio system features steering wheel-mounted audio controls, Bluetooth and 18 speakers. For comfort, the front leather seats are heated and ventilated. Speed-sensing steering and four-wheel independent suspension make the Dodge Challenger Hellcat a breeze to handle. Safety features include rear parking sensors, an exterior rear parking camera with ParkView, rain-sensing wipers and a blind spot sensor. Additional safety features include several airbags, four-wheel ABS disc brakes, traction control and electronic stability control.